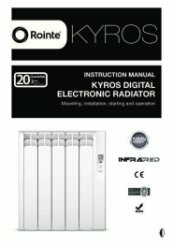 The ultimate conservatory heater, Rointe Kyros RAD3 is a white 100% aluminium body offering a stylish, effective addition to the home. 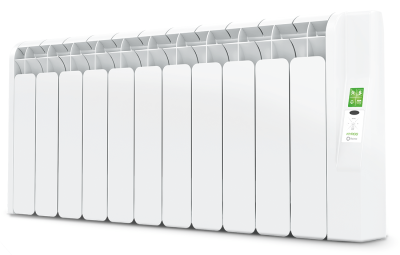 The lower shape is perfect for walls with a large window surface area, and the white finish keeps the heater discreet and unnoticeable. 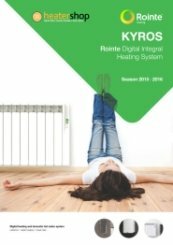 The Kyros utilises a 1.77" screen which displays the current and target temperature. It's digitised to allow easy access to settings and modifications, the keypad is lockable, ideal for hotels and homes with children. Installation is quick and simple, a plugin and go process. 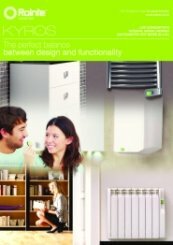 With each product we provide all fixings and a fitting template ensuring the best results. Pre-set programmes are already installed and can be customised with the help of our simple setup instructions. 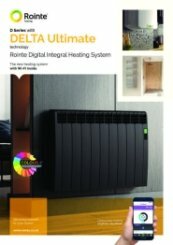 This range employs the latest energy saving technologies including Open window detection. 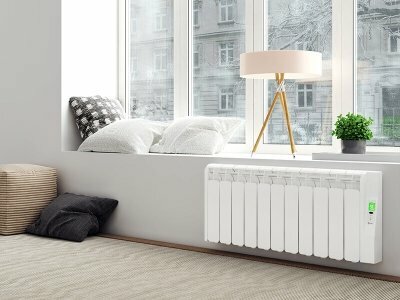 The radiator senses rapid changes in the ambient temperature and pauses the system to limit energy wastage; it will then reassess and aim to establish the desired temperature. 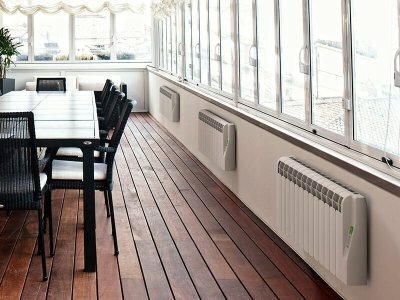 Electric heaters are 100% with their energy input to output, and the patented Fuzzy Logic Energy Control improves energy management and temperature maintenance. 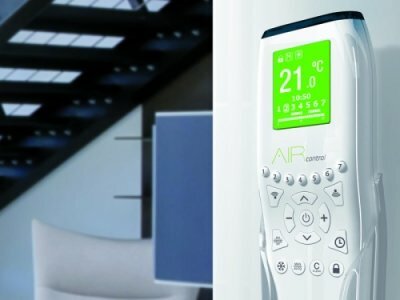 Able to regulate within ±0.25C, it provides maximum comfort in your conservatory at all times of the year. 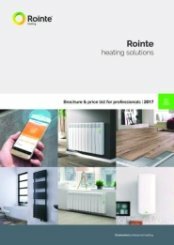 Rointe’s heating solutions are clean and respectful, not requiring boilers, polluting gases or fluids, heavy metals or fossil fuels. 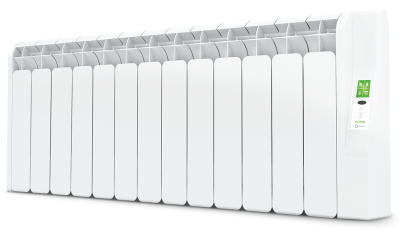 The ecological design of the conservatory radiator exceeds the minimum standard of Lot 20 legislation. 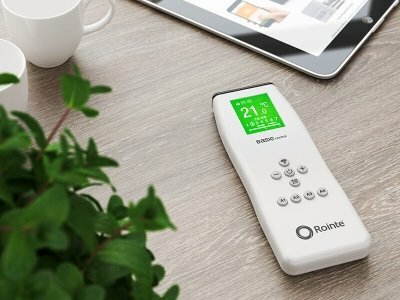 The Rointe Kyros incorporates 7 day timers which can be customised to suit your needs any hour of the week. 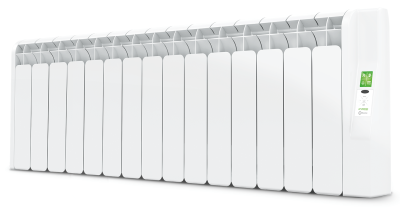 No matter how irregular your schedule, this product can keep up, generating savings by avoiding continuous use when not needed. 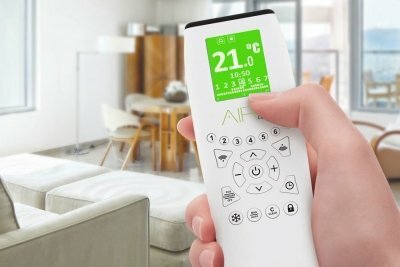 The optional infrared remote offers quick access to the four pre-installed programmes; a two-way communication provides complete functionality. 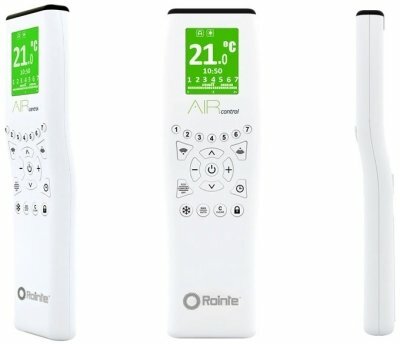 Take advantage of user mode to restrict the temperatures available, perfect for landlords and homeowners. 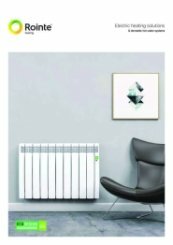 With exceptional power per element, this is the ideal conservatory heater, providing the required powerful heating solution.